Lyft, the mobility company that doesn’t have a viable business model and has never made a profit, opened trading as a public company for the second business day on Monday and investors promptly dumped shares, lowering the company’s stock value below its IPO price of $72 per share. In the world of high finance, this is generally regarded as Bad Thing. 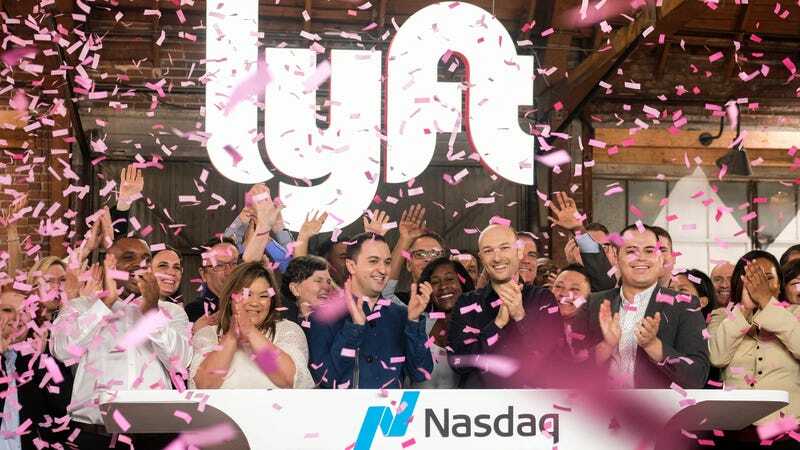 Correction, 3:27 PM: This article originally stated Lyft opened trading on Monday. It opened trading on Friday.